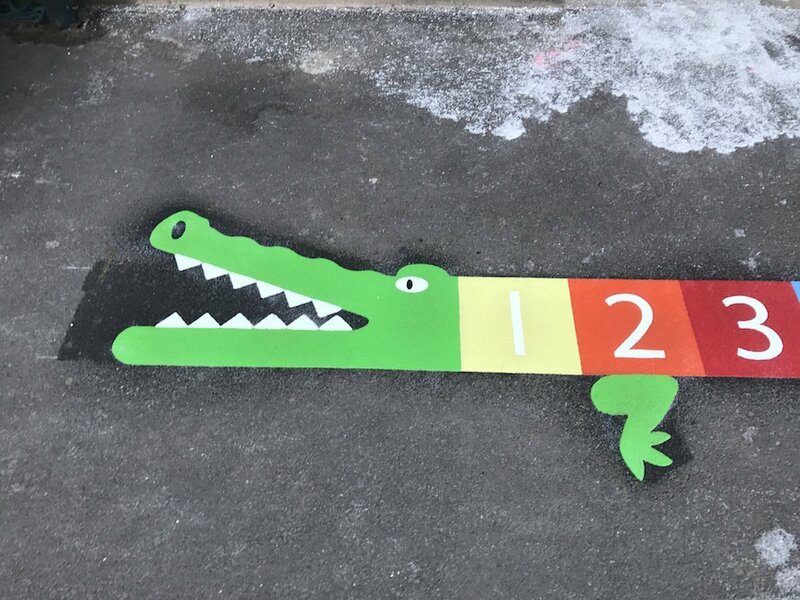 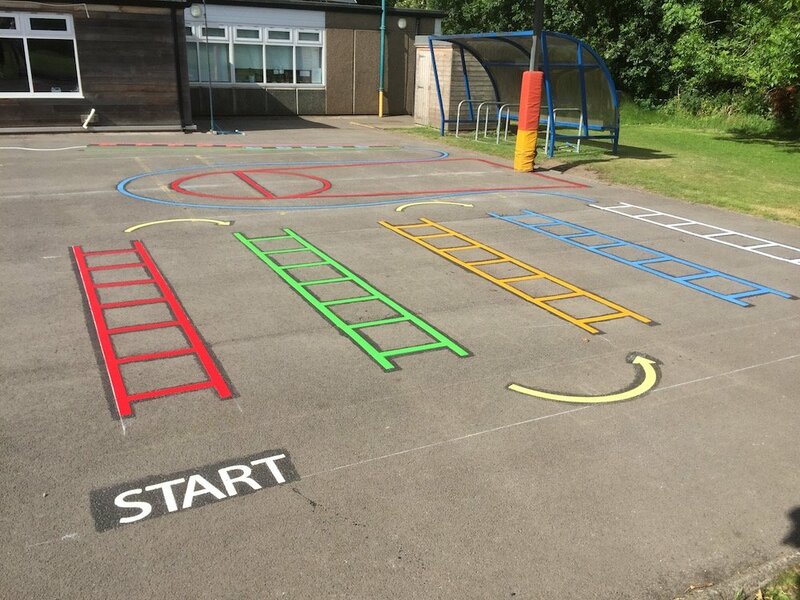 Our installation team travelled to Staindrop in County Durham to install a range of bright new playground markings for a local Primary School. 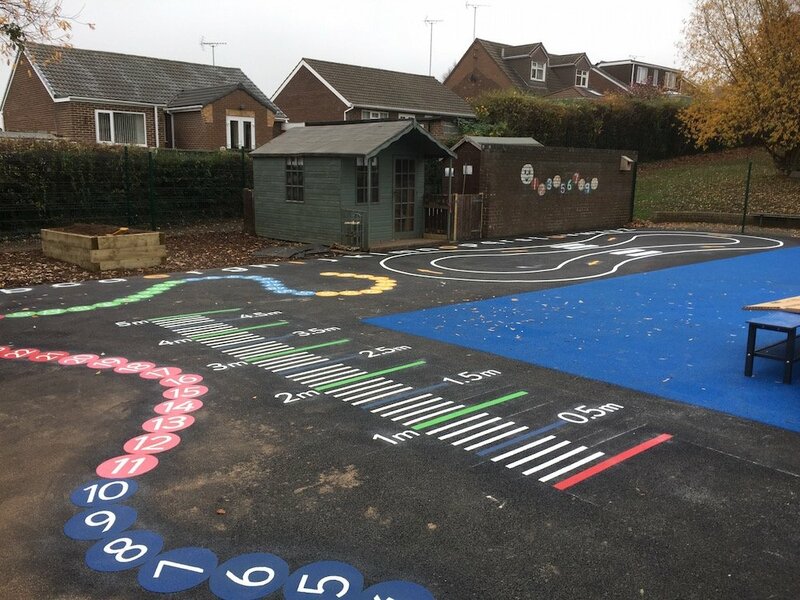 Our installation team drove down the road from our office in Gateshead to Staindrop in County Durham to install a range of bright new playground markings for a local Primary School. 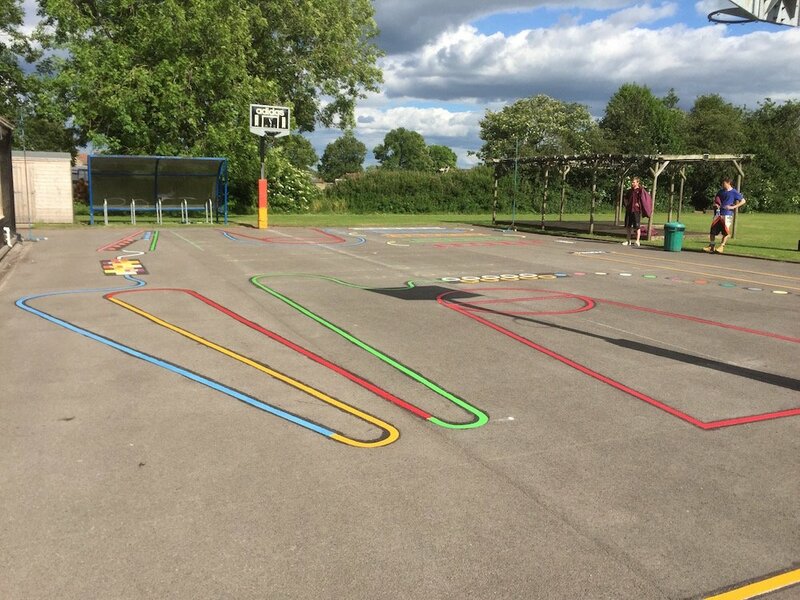 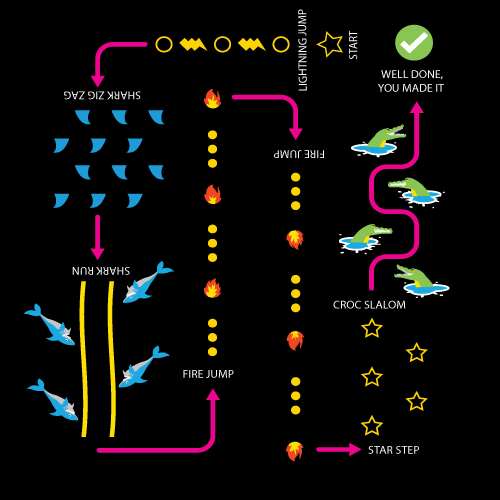 This consisted of a 1-100 Snakes and Ladders, a Dartboard, a Blank 10 x 10 Grid, and a custom made Activity Trail. 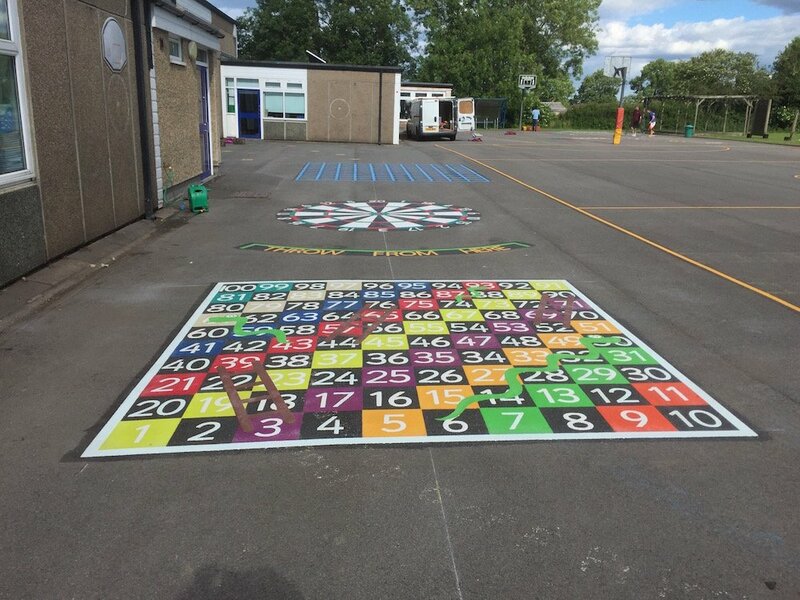 The team began by installing this 1-100 Snakes and Ladders. 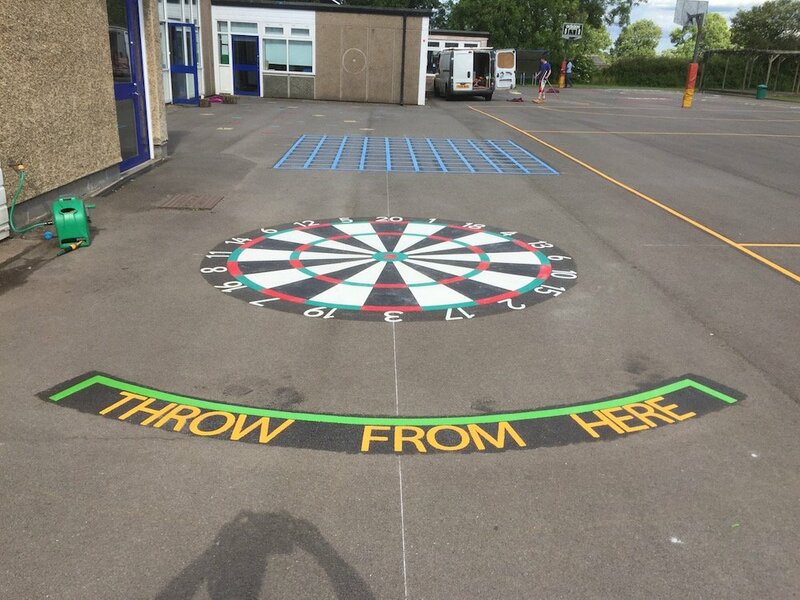 Next, the team installed this Dartboard. 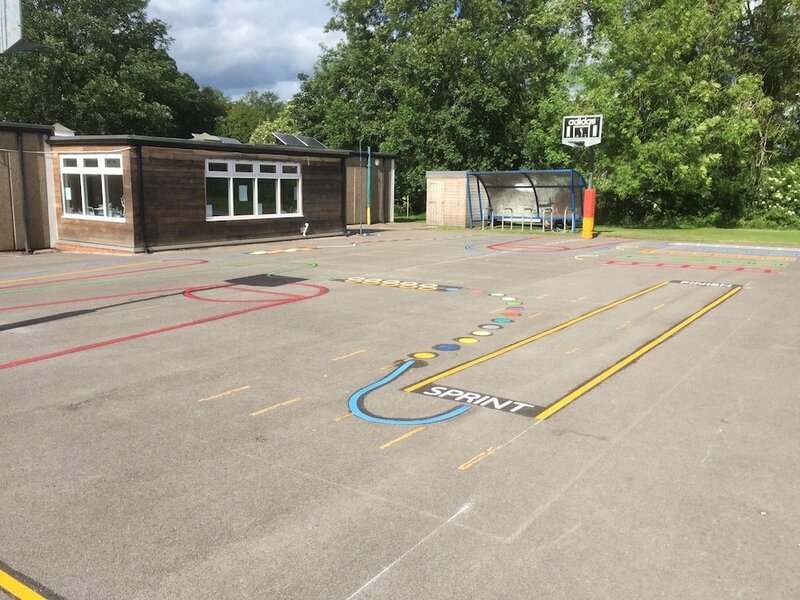 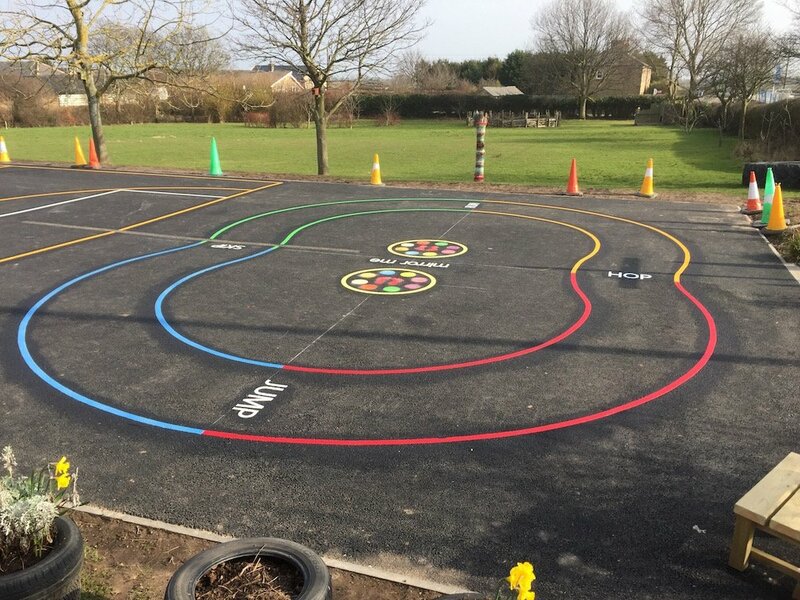 Darts is a fun way for children to develop mathematics through activity, and this colourful playground marking will keep the children entertained for hours. 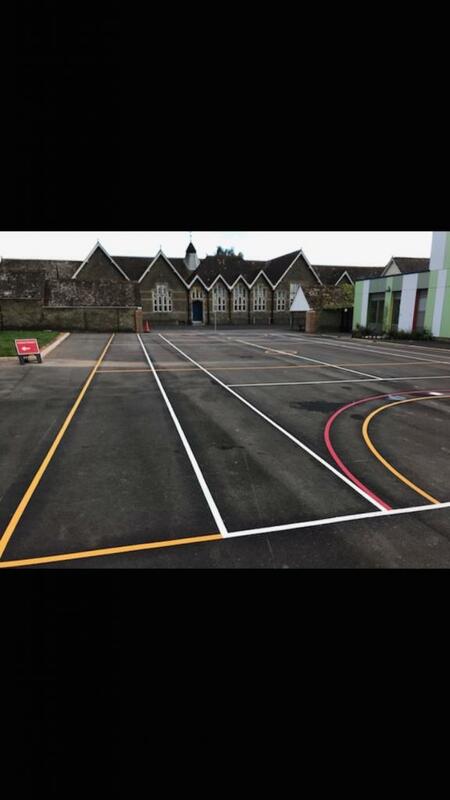 Then, this Blank 10 x 10 Grid. 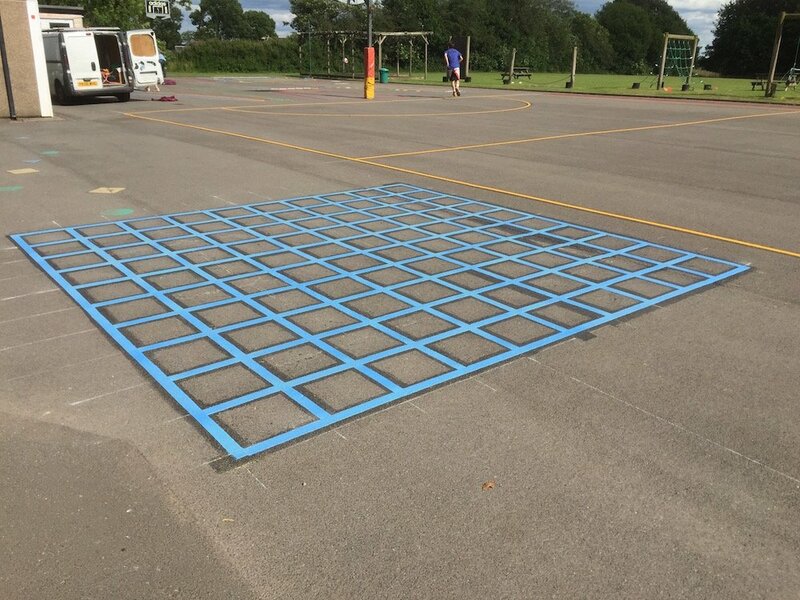 The 10 x 10 line grid allows children the freedom to chalk their own numbers into the blank squares. 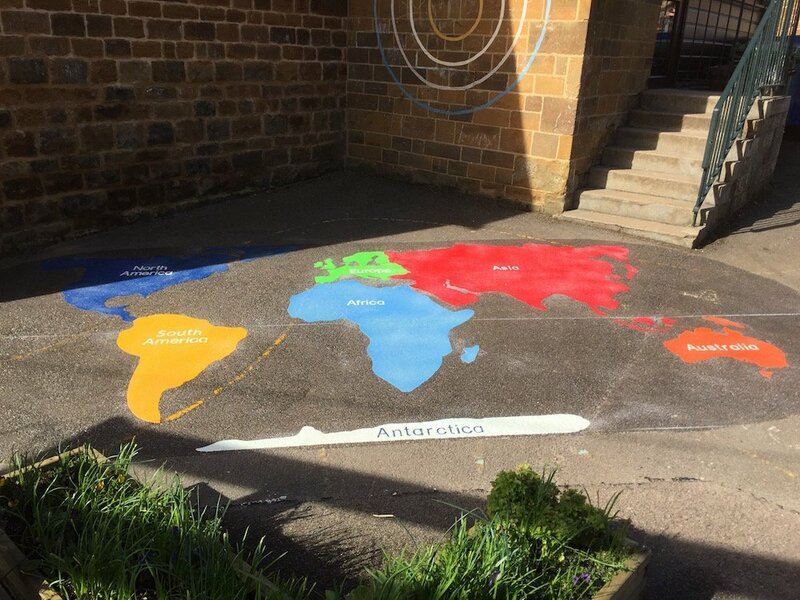 All that is needed is chalk. 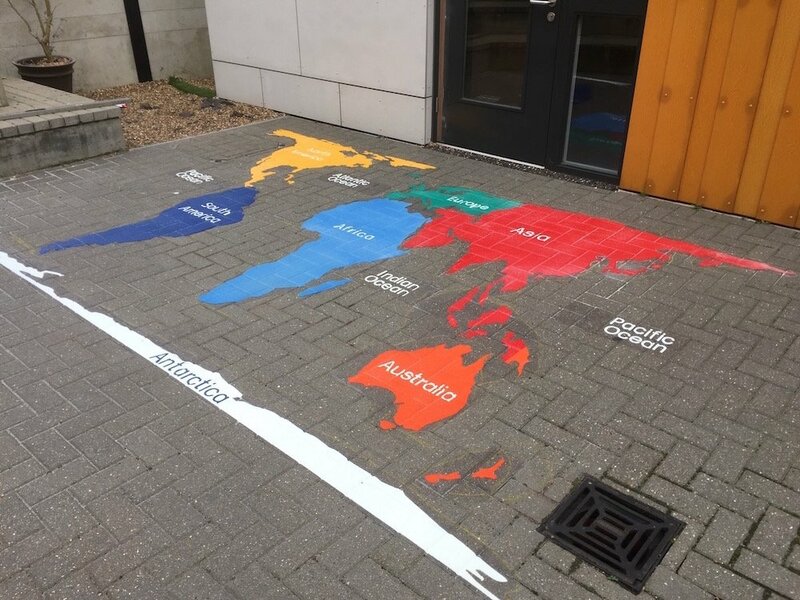 The squares are naturally cleaned the next time it rains leaving a blank grid once again. 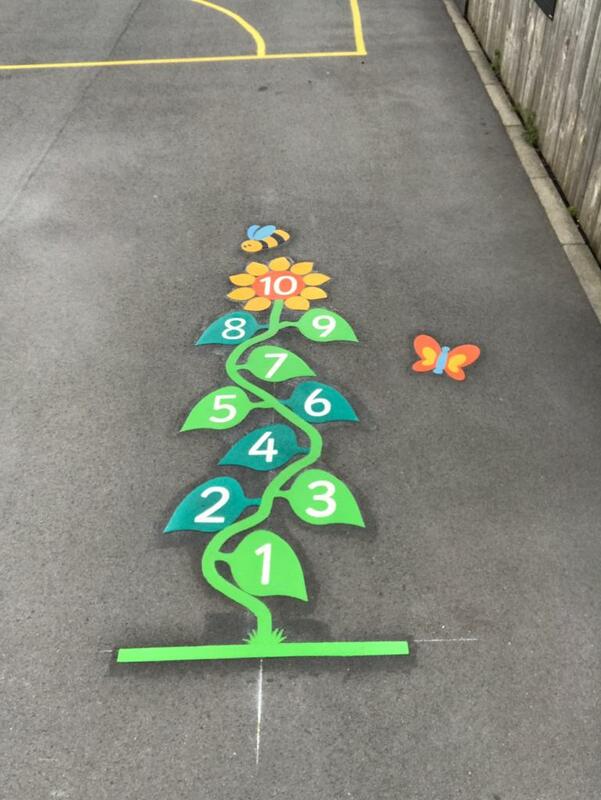 Lastly, the team installed this Custom-made Activity Trail to cover existing markings on the school playground.